Cryptocurrencies and blockchain technology have taken one more step into the business world. SME business travellers in the UK have a new means of payment for airfare and accommodation: Bitcoin and Bitcoin cash. This is possible thanks to a recent partnership between Corporate Traveller and BitPay. Institutional Bitcoin investment products trading is on a constant growing path since the beginning of the year, according to a weekly crypto analysis newsletter, Diar. To illustrate their findings, the editors published a chart that shows this type of trading for the last year and 3 months. In this way we can observe the evolution of Bitcoin trading at institutional level in a larger time frame context. Blockchain technology and cryptocurrencies have an increasingly stronger impact on the financial industry. But where exactly is this heading? And to what extent will blockchain transform financial markets and consumer behaviour? This is one of the key questions that participants at the ON:chain19 conference will try to answer. After nearly half a year of little variation in prices, Bitcoin has suddenly surged to US$5,000 on 2 April. This represents a 20% increase in a matter of hours. And the reason behind this price increase is a massive order for Bitcoin placed by a mystery investor. Venture capitalist and cryptocurrency influencer, Tim Draper, recently sat down to do an Ask Me Anything . Draper answered questions related to startups, venture capital, the media, and of course Bitcoin. Facebook Finally to Enter Cryptocurrency? For the last couple of years, internet users have been gradually waking up to concerns about their privacy. Many are skeptical of social media in general, with Facebook under particular scrutiny for use and misuse of users’ data. There are many people who learned some new skill with the Dummies series of books. This year, the series will add four crypto books to its list of titles. So far, one of the books is already available. But you won’t have to wait very long for the others: the last title in the series will be available in late summer. 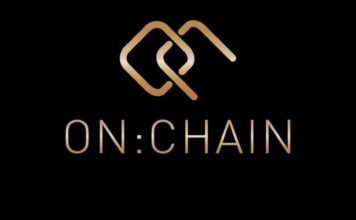 UNCHAIN is one of the most important cryptocurrency conferences in the world and it’s coming to Berlin, Germany. It’s also one of the smallest. With a 500 attendee limit, chances are you won’t be getting in. That doesn’t mean that you shouldn’t pay attention. On the contrary, it means that you should. Those 500 members are the founders and CEOs of the cryptocurrency organisations that are remaking the world. A rumor has recently been spreading through cryptocurrency circles online that the creator(s) of Bitcoin included a kill switch. It’s certainly something to think about but there is a lot of uncertainty. For one thing, while the story has only blown up in the last few days, the quote has been around for a while.